In 2007, my friends and I attended Creation Festival, which was comprised of bands such as Skillet and Switchfoot. At the concert, PRS had a booth set up with a guitar and Line6 POD with headphones ready to go. 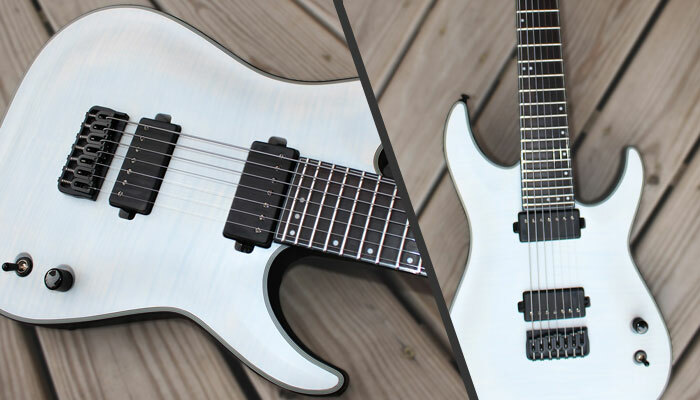 I picked up this guitar and noodled-around with some Metallica, Ozzy, and Dragonforce riffs. This guitar felt and played perfectly! Unfortunately, when I got home, I learned that the price range of these guitars were WAY out of my league. Actually, any guitars in the upper-hundreds or thousand-dollar range were a no-go. I'll admit that I lived at home and didn't have rely on ramen noodles like most college kids, but the student loans were piling up. I would buy guitar equipment here-or-there to keep the music going, but didn't purchase any major pieces of equipment. It wasn't until fall 2014 that I was completely debt-free and that it was time to upgrade guitars. My friend and I went to a local music shop where I compared a Suhr, PRS, and MusicMan. I would've went home with all three of these guitars if I could have! 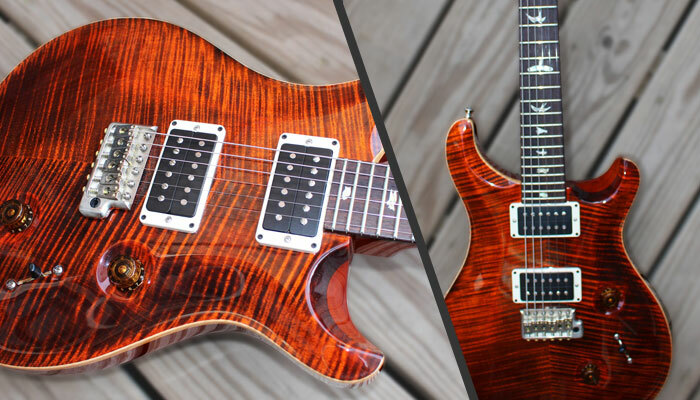 Ultimately, I decided on a PRS because it sounded punchier and more midrange-ish to my ear. And, of course, the 10-top finish is a work of art. My bass player / avid Craigslist trader sold me this guitar. Originally, the guitar had Evans pickups installed. They gave a vintage tone which was great for classic rock, but not what I was looking for. My friend introduced me to Bare Knuckle pickups, and I ended up installing their Painkiller in the bridge and Cold Sweat in neck. This Ibanez has made a few YouTube appearances including my Megaman X5 Izzy Glow cover and also serves as my backup live guitar. 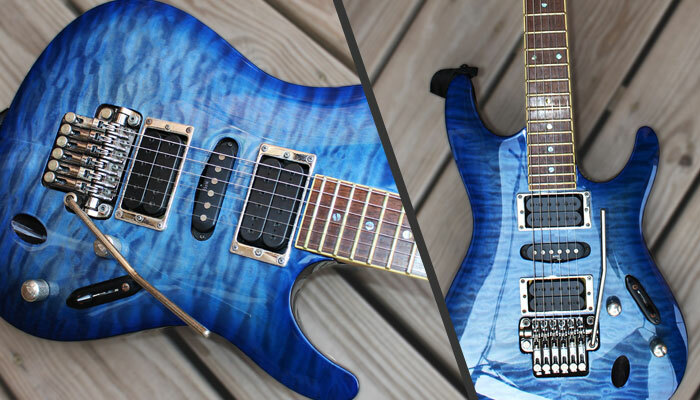 The stock bridge and neck pickups were swapped with a Dimarzio Steve Morse Model Bridge and Evolution Neck respectively. The tone has a lot of bite to it, and the ZR bridge helps the tuning return to the "zero position" after doing divebombs. 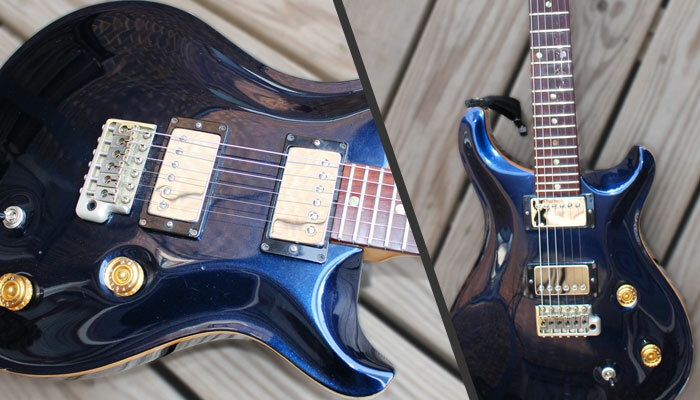 Keith Merrow's signature guitar works particularly well for metal music. It has 7 strings to reach drop-tuned tones and also has coil-tapping capabilities for achieving a tighter sound for articulate passages. Best of all--it djents. Owning a bass allows me to add realism to my backing tracks as well as add extra performance shots to my YouTube videos. 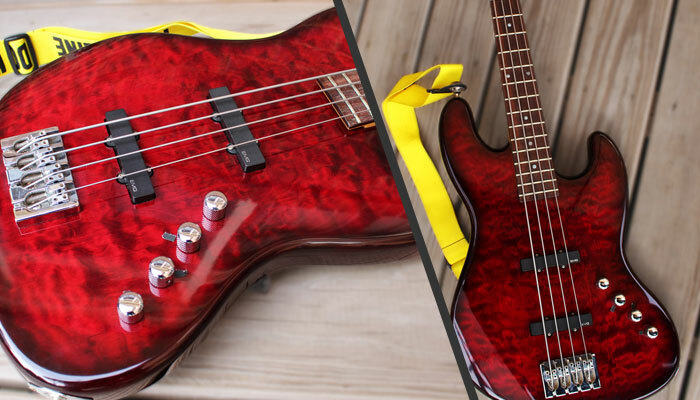 This bass uses active EMG pickups and allows blending between the pickups. For my purposes, I use mostly the bridge pickup and play with either a pick or my fingers depending on the situation. This guitar started it all. It's cracked, covered in stickers, but I STILL pick it up to mess around--probably because I'm not afraid to damage it. 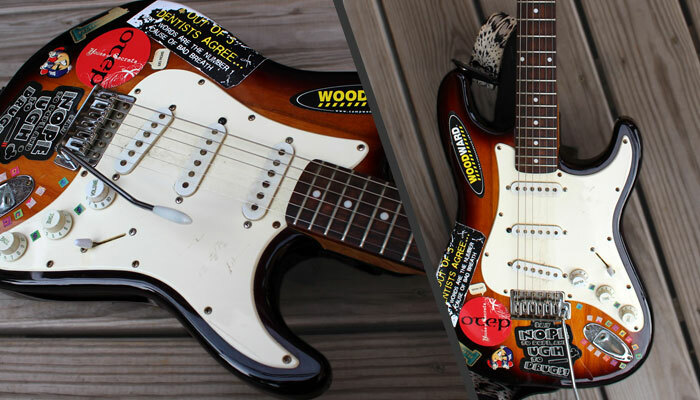 During the ALS Ice Bucket challenge craze, I even gaff-taped the electronics on this guitar and had ice water poured on my head while playing Jason Becker's Serrana arpeggios (if you're not familiar with Jason Becker, he's a guitar player diagnosed with ALS). Practicing on an acoustic seems more challenging and strengthens my fingers more than an electric. I typically use this guitar for playing at my church or at strictly acoustic gigs. It also did great work at a friend's wedding. I pull this guitar out sometimes to practice the included classical guitar lessons. I don't play it too often because I can't grow my nails out (without biting them). 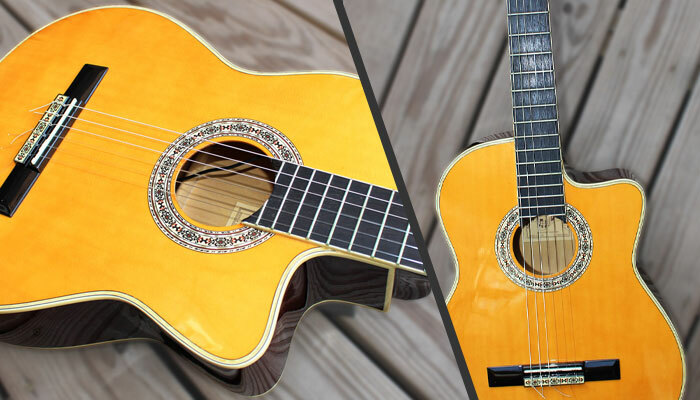 Because of the nylon strings, this guitar has a very medieval tone to it. The JTK1 was my first "real" guitar (not a Walmart guitar) and was my trusty sidekick from 2004-2014. I've used it in most of my YouTube videos, live gigs, and recording sessions, and for a $350 guitar, it plays great! I currently have a DiMarzio D Sonic in the bridge and Liquifire in the neck with coil-tap capabilities. Admittedly, nothing still compares to playing through a real amplifier. When I'm feeling adventurous, I plug into a Hughes & Kettner Switchblade head and Mesa Boogie 4x12 speaker cabinet. Stock tubes were replaced with JJ tubes to break up the tone more quickly and add more warmth. I use gauges .010 to .046 for electric guitars. I'm not too picky about brands, but I do have some preferences. D'Addarios sound good and break very rarely, so I like to buy the bulk packs and use them for live gigs. I'll also purchase Dean Markley or Ernie Ball strings once in a while to play with different tones. 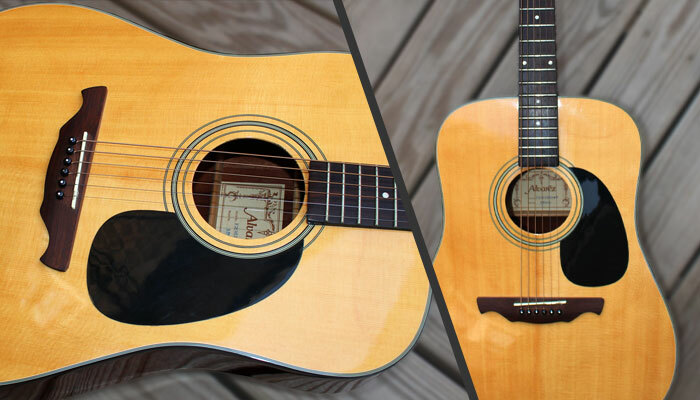 For acoustic guitar, I use either Martin or Elixir strings. For bass, I like D'Addario Chromes. I've been using a Line 6 XDS Plus for years, and it works beautifully. During outdoor gigs, I'll walk out over 100 feet and still be playing clearly. It drains batters a bit more quickly than I'd like, but if that's the only con, I'll take it. They don't manufacture these units anymore. Out of every cable I've tried so far, Mogami made the most audible difference to me. Given their higher price point, I only use them for recording at home. For live and everyday use, I prefer Planet Waves and Monster cables.